What’s that cute puppy filter you keep seeing on everyone’s social media? It’s a lens that only appears on Snapchat. Geofilters and lenses are being used to explain and provide more for storytelling. With geofilters and lenses, Snapchatters can make a boring story entertaining with a simple filter that reflects how they’re feeling or where they are. Geofilters and lenses are becoming so big, that we are seeing them on all social media platforms, not just Snapchat. People are using these Snapchat geofilters and lenses for their Instagram, Facebook, and Twitter profiles, so we, as consumers, are seeing these Snapchat geofilters and lenses everywhere and everyday. Whether we have a Snapchat or not, we are being exposed to these new trends. With new trends, come new ways of advertising. Snapchat now has sponsored geofilters and lenses that a brand or company can buy for a day and aim towards their target audience. 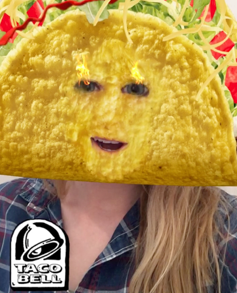 Did you see that huge taco face lens that Taco Bell created? If not, you missed out on some entertaining storytelling with that filter. Geofilters and lenses provide a new way of advertising that doesn’t feel like advertising, instead it just feels like entertainment. How does it all work out for you? 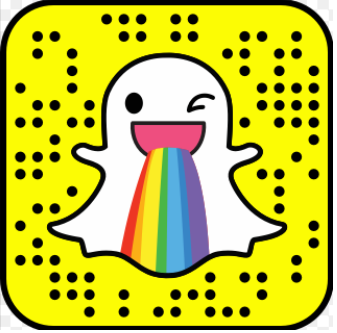 On average, Snapchat reaches 41% of all 18-34 year-olds in the United States daily according to Snapchat’s website. If these ages are your target audience, you want to be on Snapchat. Otherwise, you’ll just be missing a majority of your target audience. With over 100 million people using Snapchat each day, Snapchat has recently decided to start making money off of advertising. Snapchat provides three ways of advertising: snap ads, sponsored geofilters, and sponsored lenses. The snap ads are ads placed within a “story” on Snapchat and look like typical advertising. Sponsored geofilters and sponsored lenses are just filters one can apply to his or her snaps. 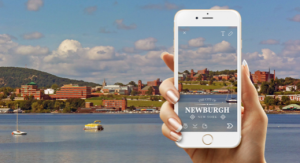 What’s the difference between a geofilter and a lens you might ask? Geofilters are used to explain where the snap was taken. 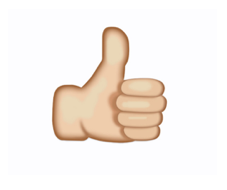 It acts as a way to mark your location in a snap. Lenses are images placed over one’s face, which then distorts the face to look like something else. 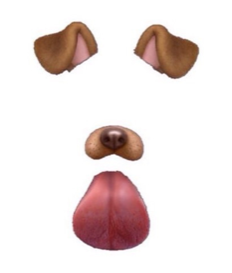 Examples of lenses would be: the puppy face filter, the face swap filter, and the throwing up rainbows filter. Lenses are more interactive and according to Snapchat’s website, Snapchatters play with a sponsored lens for 20 seconds on average. The sponsored geofilter usually reaches about 40-60% of Snapchatters each day. With so many people using Snapchat geofilters and lenses, companies have turned to creating their own filters for their target audience to see and use. Snapchat has not yet released the cost of a sponsored geofilter, but creating a geofilter for your own personal snapchat would start at $5. Not bad! Creating a sponsored lens for your company starts anywhere from $450,000 to $750,000 per day. 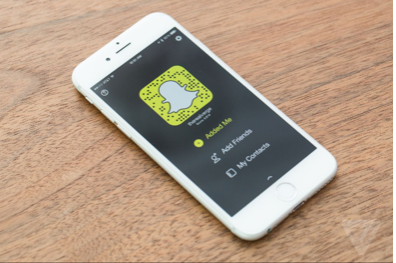 Snapchat is perfect for engagement and interactiveness with your consumers. Sponsored geofilters and lenses are becoming the new way of advertising because they’re used everyday and they don’t feel like advertising. So, go ahead! Jump on that Snapchat bandwagon and get to entertaining! What are Instagram Business Profiles & How Can Brands Use Them?